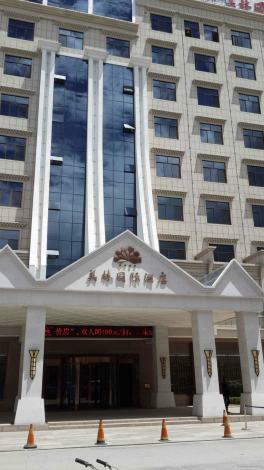 The Meilin International Hotel (Meilin Guoji Jiudian) is located within easy reach of Biri Mountain, the most ethnic and religious characteristic scenic area in the county. Rooms in this Nyingtri hotel are equipped central air conditioning, 24-hour hot water and broadband Internet access. A large dining hall and six private rooms provide guests with Chinese cuisine (including Tibetan foods) and Western cuisine. Another option is a tea house in the hotel which has 11 private rooms and serves tea and meals. The business center in the lobby offers multiple services to make sure that meetings take place smoothly. During leisure time, guests may socialize in the night club or sing songs in one of karaoke rooms. -53.2 km from Nyingchi Milin Airport.